The team were really impressed by your christmas decorations. You shared so many wonderful ideas and all so different. I will certainly take some and use them for my christmas decorations this year. So thanks to all of you who took part. The winner has been picked totally at random for the prize this week. The lucky recipient of the prize is........... Vicki . Congratulations from the team Vicki if you would like email Pascale your details you can find her e-mail address on her blog. OMGoodness, can you believe it's the last Sunday of the month - another one has flown by as we continue our journey towards a stress-free Christmas! The team here were all in awe of your fantastic Santa crafting last week - so many fab Santa's out there, and still many more to see light of day this year I've no doubt!! 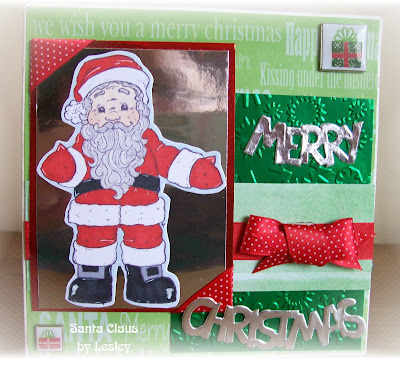 Hopefully this week's theme won't send you all running for the hills - The Christmas Cracker wasn't the enormous success we hoped for and this week we are asking you, yet again, to try not to make a card but to amaze us with your (undoubtedly!!!) fantastic Christmas Tree decorations. 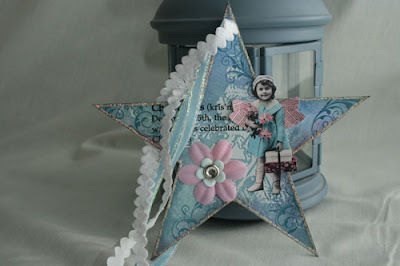 This doesn't mean that you have to put your cardstock away - you could just be a little more creative with it and make something delightful to hang on your tree if you wish. 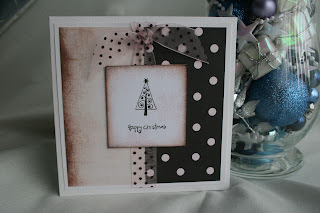 So please don't be deterred - if all else fails, we don't mind seeing cards with baubles and bells on instead! As long as it gets you one step closer to a happier Christmas then it will be a roaring success. We have a prize for you this week donated by our own Design team member Pascale . 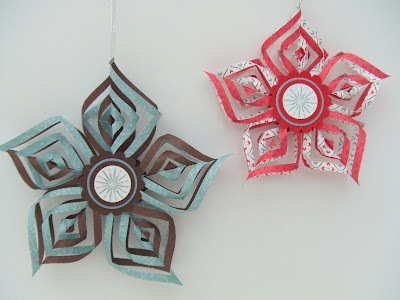 Check out Pascale's blog for a tutorial on how she created her polymer clay christmas decorations. Here is picture of the goodies on offer. 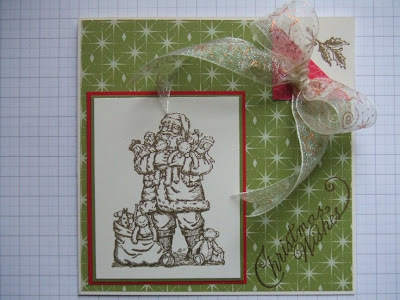 An oriental papermania 8x8 design paperpad and some christmas victorian borders. Thank you all once more for your fabulous inspiring projects and for playing along with our themes each week. We all hope that you're enjoying this every bit as much as we are and we can't wait to see your decorations this week!! 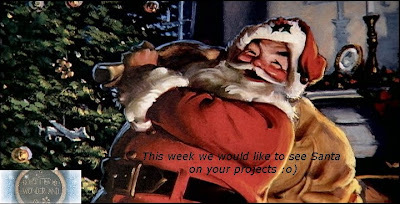 Week # 8 - Santa Claus is coming to Town!!! 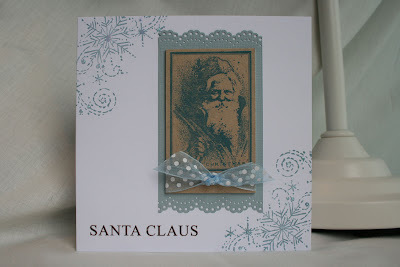 Happy Sunday everyone, and welcome to Week 8 - No pouting now because Santa Claus is Coming to Town!!! Thank You to everyone who played along with us again last week, it's so lovely to see so many beautiful and inspirational Christmas projects - and can you believe how much your card stash's have grown already in such a short space of time!!! Wishing you all a great and relaxed week! Well done Lynda please could you contact Anne her contact details are on her blog and she will fill you in on how to claim your prize. Looking forward to seeing all your lovely creations again this week. Hello my name is Regina Easter. I have 4 wonderful children and an awesome supportive husband. I have for as long as I can remember loved all the aspects of creating things with paper and drawing. So it was only fitting that I decided to open up The Cutting Cafe' and I am loving every bit of this new venture. 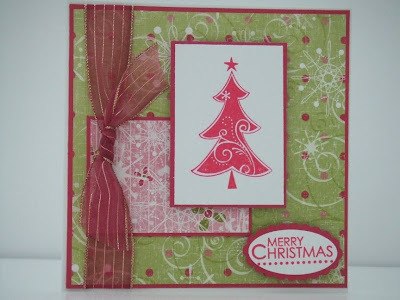 The Cutting Cafe' offers affordable Printable Stamps and Cutting Files. The Cutting Files which are basically just like templates are files that you Print out using your home printer, Cut, Assemble and then Embellish.....Very Easy.....The Cutting Files also come in the format where you can cut out the files using some of the latest Machine Cutters like the Pazzles Inspiration, Bosskut Gazelle and Cricut (with Scal software). The Printable Stamps are just that, images that are sent to you through email that you print out using your home printer. After the images are printed out, you can just color them in like you would any other stamped imaged...One great thing about the Printable Stamps and Cutting Files is that you no longer have to worry about finding space to store all of your stamps....You can keep them all in a folder in your computer and use over and over again. Our heartfelt thanks to Regina for offering this fabulous prize, and I hope you all find lots of inspiration from her website! Now, are you someone who loves all things Christmas? 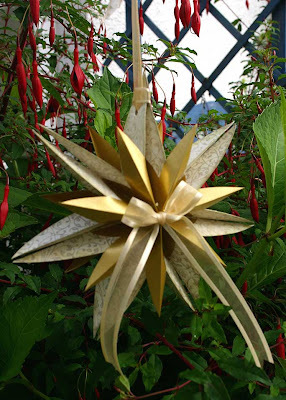 Could you commit to making at least 4 consecutive christmas projects for this blog based on our themes? Would you be willing and able to visit other players blogs leaving positive feedback? We are looking for a number of guest DT'ers who will help us to get to Christmas in one piece, and hopefully un-stressed!! If you think you would like to be a GDT on this blog, then we would love to hear from you. Please contact me leaving a link to your blog and we will let you know what the theme's are and which weeks you would be expected to participate in. All styles are welcome and if we get lots of replies we will do our very best to accomodate everyone as we feel that you all deserve the chance to be showcased on our 'front page'! So, show us your Christmas Presents - and don't forget to pop over to Regina's place for a good drool and lots of ideas! Congratulations Rachel. If you would like to contact me with your address I'll get your prize sent off to you on Monday. Enjoy! Happy Sunday everyone and a very special Thank You to everyone who joined in with our Christmas Cracker challenge last week, and what a stunning bunch of crackers they were too and we were so pleased that some of you felt motivated to have a go - not the easiest of subjects, but I promise they do get much easier! 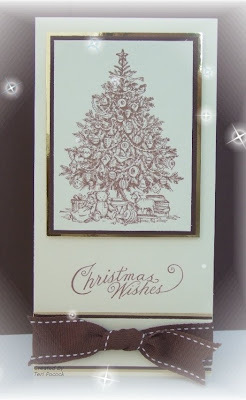 On with this week's theme - what do the words "Christmas Past" conjure up in your mind? Maybe you think of Christmases from your own childhood, or even further back to a time when Christmas as we know it first began. Maybe as recently as last Christmas holds special memories for you ? The idea is there, the interpretation is with you, and the inspiration is here provided by the Winter Wonderland galz! 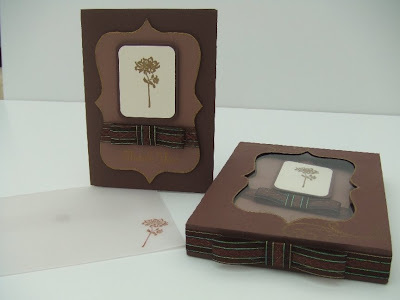 We also have another fab giveaway for a lucky player too - take a look at this gorgeous clear stamp set. Next Saturday one lucky person's name will be drawn randomly from the players and it will be winging it's way to them. So, off we go, show us your Christmas Past projects and don't forget to leave us a link so we can come over and drool over it!